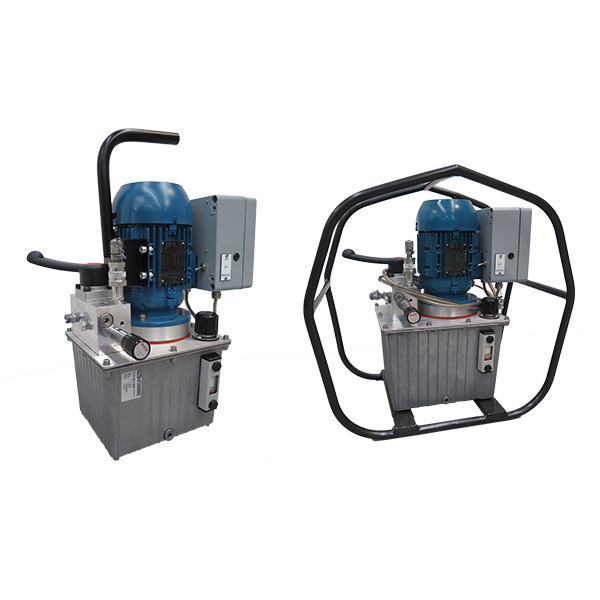 HYDAC Electric Hydraulic Tensioning Pump is a compact hydraulic power unit. Finally, a remote pressure control valve. Moreover, it’s built into the radial piston pump. An optional roll cage or carrying handle are available upon request. Therefore, we can assemble the power unit with 6.5 litre or 12 litre hydraulic tank.